Yesterday, @FlashingPedals asked a question on Twitter that caught my interest: "Bicycle Trivia: name the last rider to win a classic using an Aluminium framset." Many besides me tried to answer that one, including @sprinting4signs, @inrng and @euanlindsey, probably more as well. The question has many interesting nuances; the brands and their wish to influence us consumers is one, economics is another, fashion a third. "Everybody should be riding carbon", I hear from time to time. A guy at a bike shop told me this just a couple of months ago, and I knew immediately that I wouldn't be buying a bike there. Weight is important but it get way to much emphasis. Can't believe people who only want what the pros have, or those select a carbon bike 1,5 kilograms lighter than an alu bike just because it is lighter. Especially if that person carries a couple of kilos extra behind his belt. Now that is where you can shave some kilos my friend! Bikes perform differently depending on material, on riding style and function. The quality of the frame, the quality in the work merging the different parts together reflect the bike far more than just the material. A steel bike can be just as good, and far better for a rider, depending on several factors. The bike have to ride good, it have to feel good. 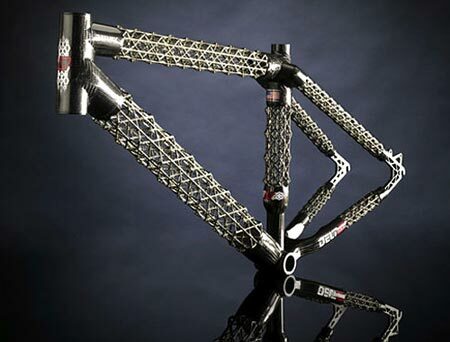 If you can get a customized aluminium or steel frame, the chance of that being far better than a mass-produced carbon bike is very high. People often focus too much on the frame and what groupset is on the bike. How about wheels? Where do you think you can make an effort with limited money? Like everything this is all part of an equation. Find out what you like, what you need is probably the most important. Seek some qualified expertise and buy yourself a bike that suits your need. Who knows, maybe you'll get surprised? Ash - Hi! The fact that your bike bits wear out it's a good sign; means you're actually using your bike! Nothing like nostalgia, check out this site: http://www.pegoretticicli.com/. Same guys in the video above, they are old school and have a certain passion for what they do. Frame is important, but the way a frame "rides" depend on the user, and the wheels are so important. More important than groupset. As long as the cassette, chain, derailleurs and crank is cleaned, that's proper maintenance, depending on how much you're riding. Seems you're holding your own, impressive!